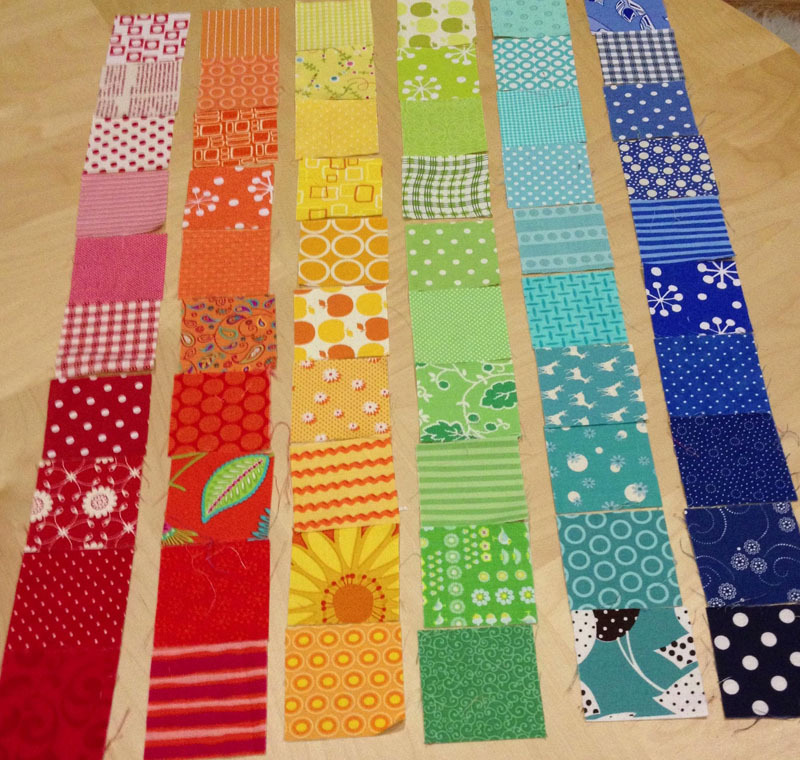 This is a re-post of my simple Rainbow Scrap Quilt Tutorial from my old blog! I recently made a quilt using all my colourful scraps. 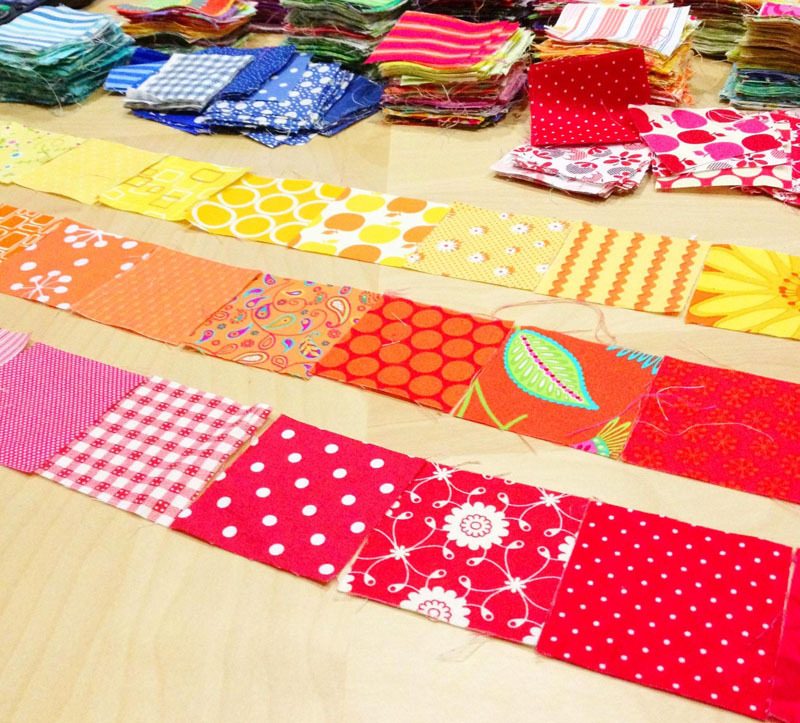 Whenever I have fabric left over and it's too small to put into the stash I cut the fabric into 2 1/2" squares. So I always have a large amount of squares on hand. I wanted to make a baby quilt for a friend and wanted it to be bright and colourful. I love putting colours together especially into rainbows. Using the old ROYGBIV colour theory, red, orange, yellow, green, blue, indigo and violet. This includes 18 - 1 1/2" x 48 1/2" strips that go between the coloured rows. You will have to join the 1 1/2" strips to get the 48 1/2" needed. And a border of 2 1/2" that goes around the outside of the quilt. I have pieced the quilt in a rainbow pattern and that is why there are less squares of purple and blue. I did it this way because I just don't have as much purple in my stash. The rows go in the order below and you can double check by looking at the photo of the quilt. 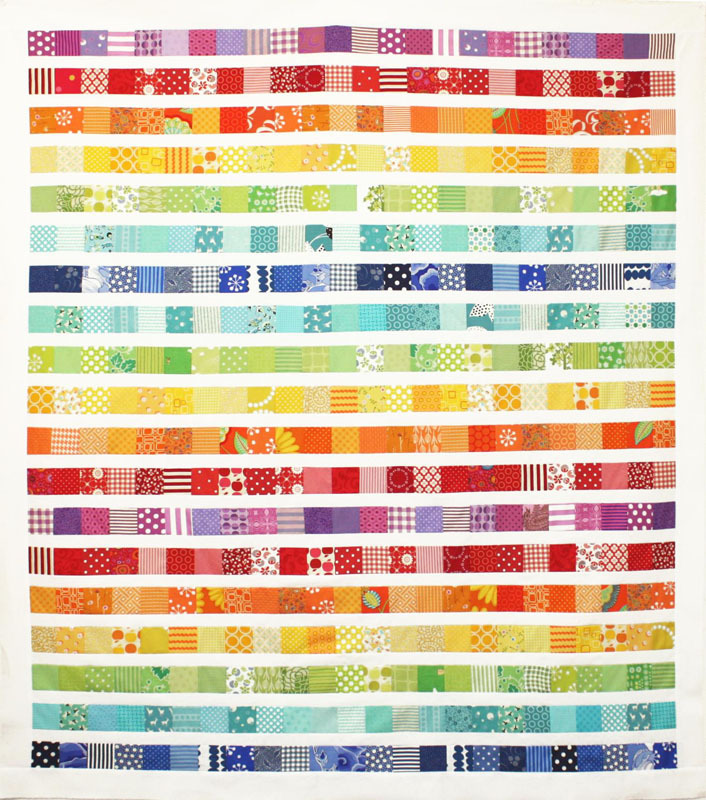 It is a simple quilt using colour as the main design feature. You could make it much larger by adding more squares and also more rows. Cardygirl: This looks like lots of fun!